The owners of the former Merritt Bakery space are looking for a new tenant. 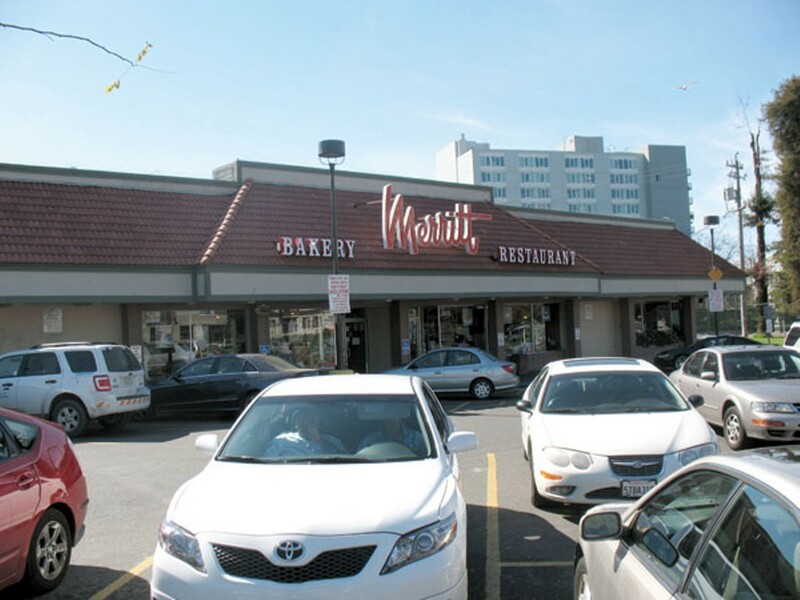 Merritt Bakery, an Oakland institution for 63 years, will not be moving back to its original Eastlake location at 203 East 18th Street. In an email, owner Charles Griffis confirmed that the space — long closed for renovation — is now available for lease. Merritt Bakery is known for its fried chicken and, among other baked goods, its hamburger-shaped birthday cakes. For the time being, the restaurant has been operating, and serving an abbreviated version of its menu, at the former Kwik Way location near Lake Merritt, at 500 Lake Park Avenue. But that arrangement was always meant to be temporary. Griffis said the space — more of a takeout window than a sitdown restaurant — is too small to be a long-term solution. “About the future location of Merritt Bakery … it is uncertain,” Griffis wrote, adding that he is currently searching for a larger space. The former Merritt Bakery building is owned by the Friedkin Investment Company. Brooks Host, a property manager with Friedkin, said the company is in the process of looking for a suitable tenant — preferably a restaurant and bakery that can handle the 13,000-square-foot space, but Host said it’s also possible that the building might get divided up between two separate tenants.